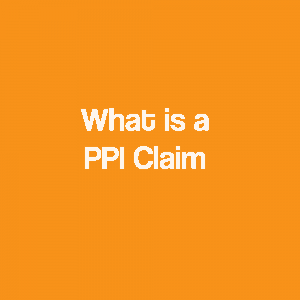 Welcome to the website PPI Claims Specialist which is run for, and on behalf of my Firm, “RYM Claims”. As a bit of background, I have been dealing with all forms of banking complaints and disputes since the late 1990s and we have seen a number of banking scandals, where we have dealt with many thousands of claims on behalf of clients. These claims range from account charges through to endowments, as well as a variety of other individual complaints in relation to the charging of interest. Recently, our focus has changed to Packaged Bank Account (PBA) fees, but in recent years the mainstay of the majority of our complaints that we deal with are in relation to Payment Protection Insurance (PPI). This is particularly relevant now that the Financial Conduct Authority (FCA) has announced that a time limit is to be placed upon the submission of PPI complaints in relation, which is likely to be some time in the spring of 2018. 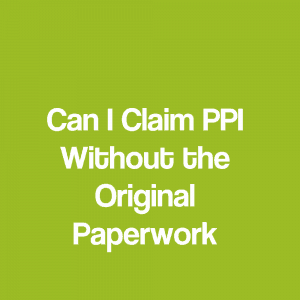 It is therefore imperative that if you are reading these pages, and you have not already looked at whether you have had Payment Protection Insurance in the past, that you now do so with a view to making investigations into whether you have paid it and ultimately, if you have, look to reclaim this. 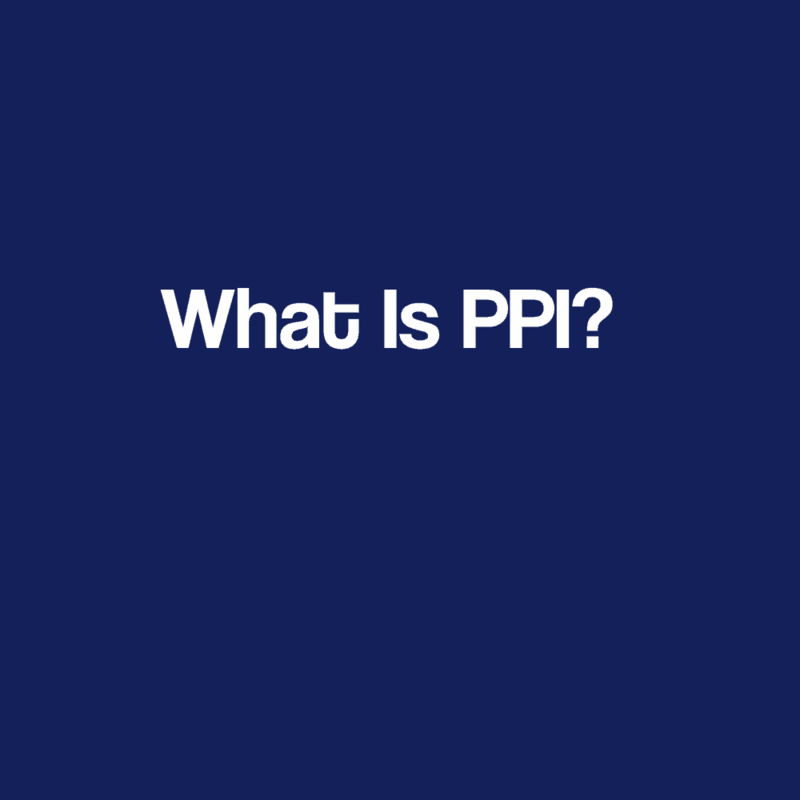 Payment Protection Insurance (PPI) is a cover that was placed on loans, credit cards, mortgages, hire purchase (HP), store cards and any other forms of borrowing in order to protect the consumer, should an unfortunate incident happen, such as loss of job, accident, injury, or ultimately death. It would then protect them and their loved ones from the ravages of a debt around their neck. 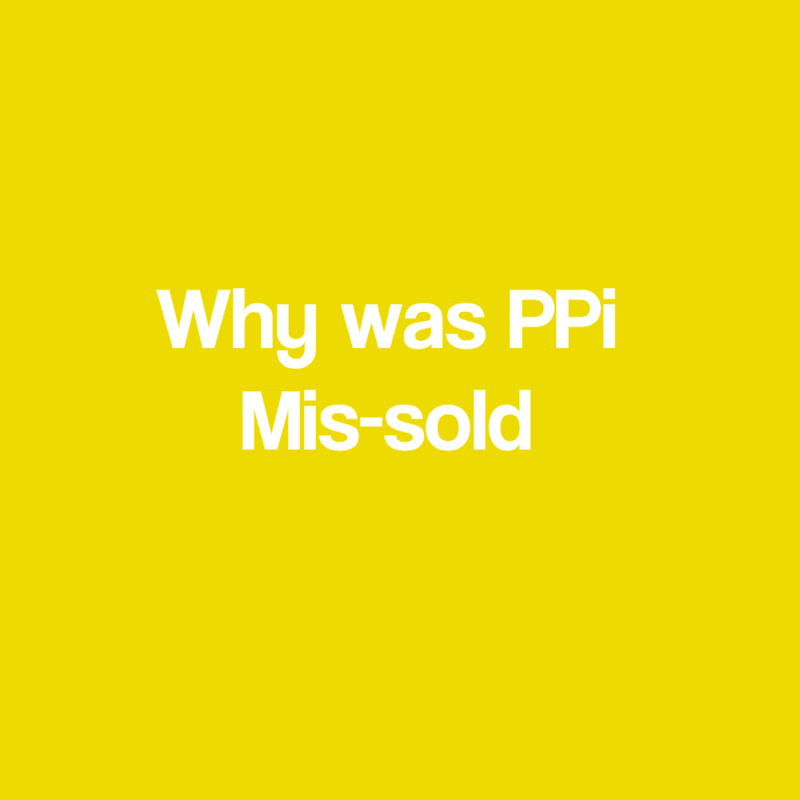 The Payment Protection Insurance itself was sold as a product, either with premiums being taken on a monthly basis, or in the case of a majority of loans (and on some secured mortgage facilities) as a lump sum at the front end of the facility. On these particular types of accounts, people had to pay interest on top of the premium from the outset, which of course increased the level of costs involved. 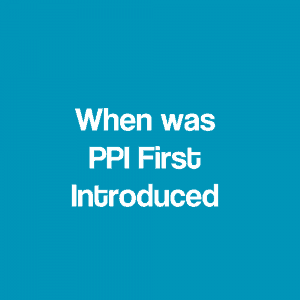 The Payment Protection Insurance itself came into being as far back as the 1960s. However, the Banks took hold of the opportunity it had to obtain tremendous profitable results as a result of the sale and they encouraged their staff, by way of incentives and considerable training, to sell the insurance (certainly throughout the 1980s, 1990s and into the early 2000s). Indeed, several of the High Street Banks worked on the assumption that one out of ten customers could walk away without insurance. If this target was not achieved by the member of staff who were presenting the facilities for approval, then they would have to conduct a full review into this member of staff. As you can see, there is a tremendous amount of pressure being put onto sales staff at that time to make sure that a Payment Protection Insurance policy was always attached to any facilities that a client had. The other ways of selling the policy were not correctly adhered to, such as establishing medical facts. The Financial Conduct Authority (FCA) which was known at the time as the Financial Services Authority investigated the Banks following a super complaint by the Citizens Advice Bureau in 2006. This complaint about the selling or “wholesale flogging” of Payment Protection Insurance brought into question the ethics and ways that the Banks were using in order to sell the product itself. Many of the ways they were employed to do this were, at best, uncomfortably incorrect and, at worst, damn right fraudulent! A Court case followed, but during this the Banks agreed with the FCA that they would then address the mis-selling of Payment Protection Insurance as it became clear that they would ultimately lose the Court case. The ruling in relation to this would have cost them huge, huge sums of money, even greater than they have already paid. Since the Banks agreed to look at the mis-selling complaints, the Bank began to receive millions of enquiries into the mis-sale by consumers. As a result, (up to the end of 2015) a total of almost £30billion has been refunded by the Banks in relation to the mis-sale and this figure is likely to grow to between £40billion and £50billion by the time the scandal ends (at some time in the next five or six years) when all complaints have been dealt with. Payment Protection Insurance was first introduced in the 1960s and 1970s, mainly for use with certain types of credit or store cards. It was not used a tremendous amount as it was quite an expensive product and, ironically, it was not used or taken on board by the major High Street Lenders until the 1980s. In the 1980s, the Banks then discovered that if they operated a policy of selling the Payment Protection Insurance on loans (as a full one-off premium at the outset) and on credit cards (taken on a monthly basis) with the amount on a monthly basis reflecting the level of debt of that particular month, they could generate tremendous profits. This is because the majority of people who they were selling the product to, would not make a successful claim because the policy itself was so full of restrictions. As a result, the Banks made vast sums of money. Highlighting the amount of money that they made; the total refunds up to the end of 2015 stands at approximately £30billion. However, this is probably only 5% to 10% of the income and earnings generated by the Banks as a result of the selling of this product throughout the 1980s, 1990s and 2000s. As an aside, it is easy to see how the Banks use their business model to rip clients off, as in later years when the regulatory authorities stated they had to refund, they only refunded a proportion. So, if the Banks made £300billion, and refunded £30billion, they have made a net gain of £270billion. This is not a bad bit of business, and although it is a little bit of a shock to the system for them, I am sure they will recover, and no doubt get ready for the next scandal that they have to deal with. Of course, they will be somewhat wiser in protecting themselves for the next time. Ultimately however, consumers will always be used to generate monies and will always be used to generate monies that are not necessarily of benefit to the individual in question. 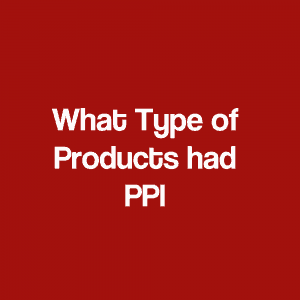 What type of financial products have PPI? The top three products are those listed above. The majority of people take out loans, credit cards and mortgages regularly. Indeed, one of the main areas for reclaims is in relation to credit cards that have been closed a number of years ago, that people have almost forgotten about. The Banks did add Payment Protection Insurance, even if it was not requested at the time. Therefore, if you did have any form of credit card historically, and you have forgotten the details, then it is essential that we look at this to see if there is a potential claim. Yes – even business loans and business current accounts can have Payment Protection Insurance attached to them. Basically, anyone who has borrowed any money at any particular point could have had Payment Protection Insurance attached. 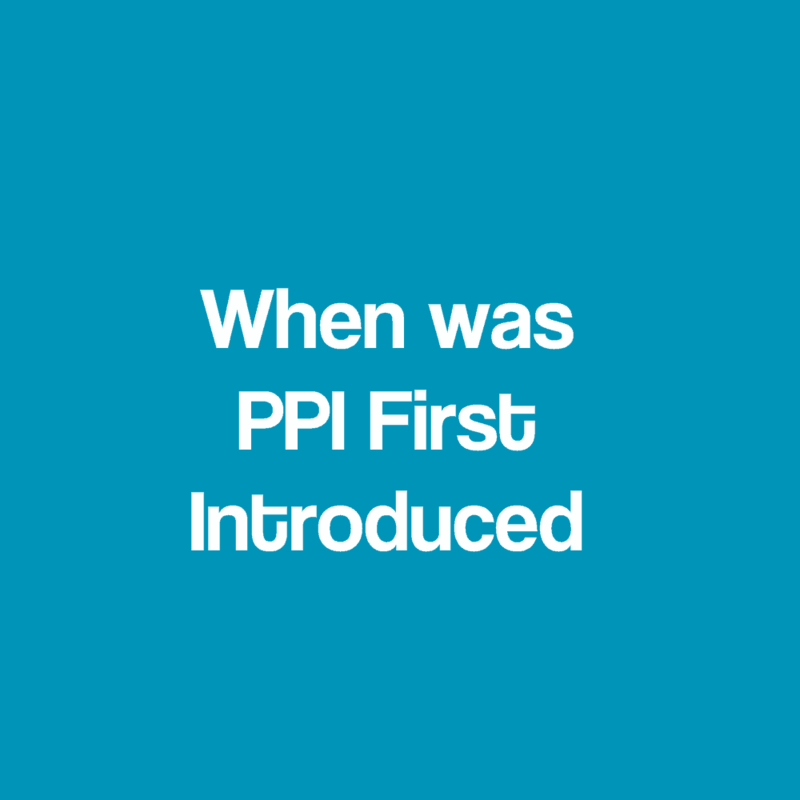 Largely people did know if Payment Protection Insurance was applied, but on a number of occasions it was sneaked into facilities, particularly those where the premiums themselves were applied upfront. 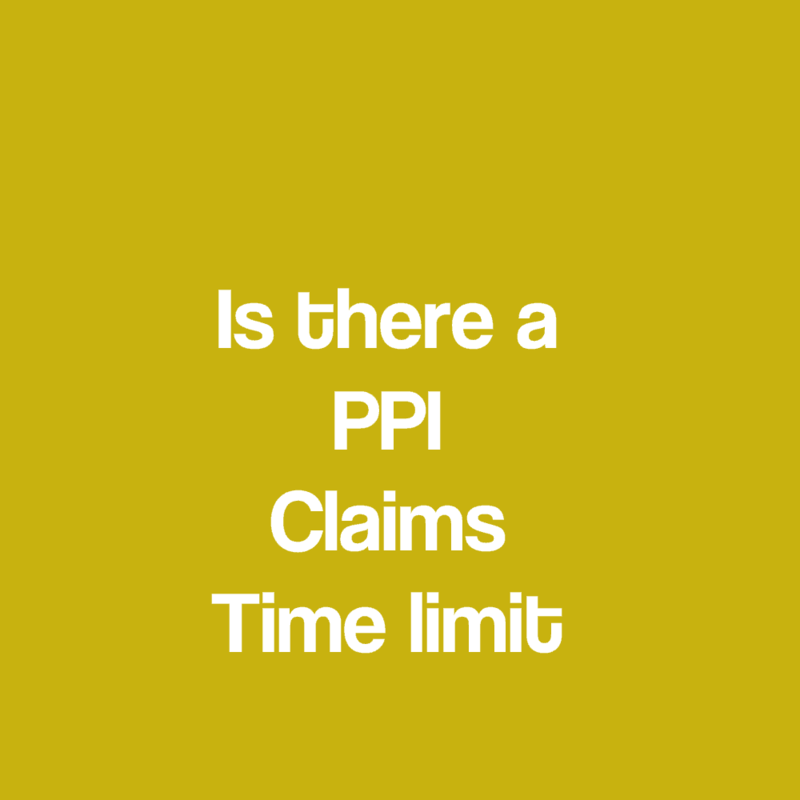 In making a claim in relation to Payment Protection Insurance, it does not matter if the facility is open or closed, or how long ago it was taken out. We can still investigate it on your behalf. 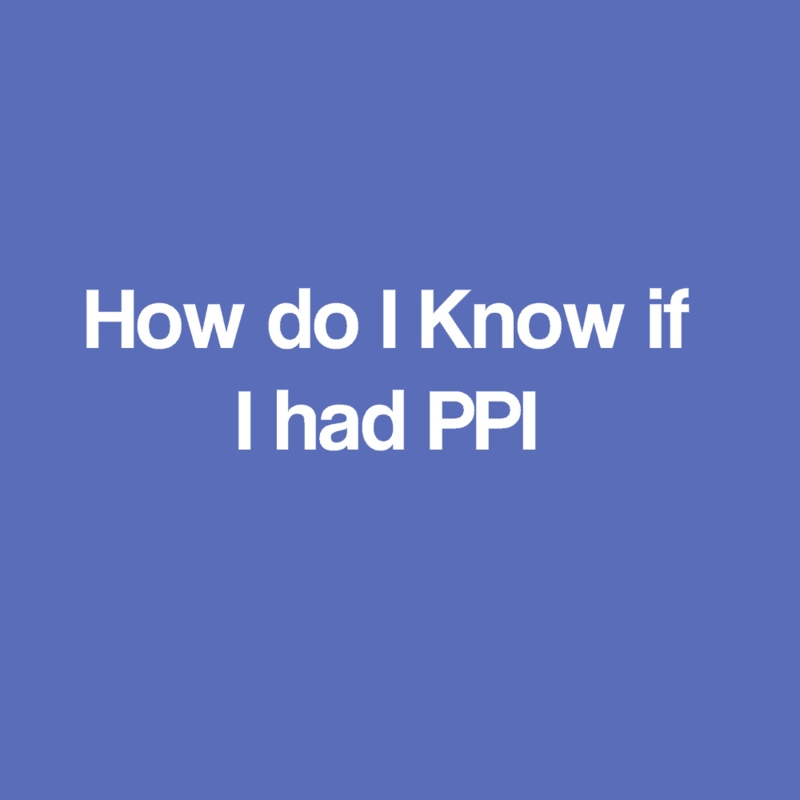 The honest answer with regards to whether you should know if you had Payment Protection Insurance, or not, is that the chances are that you did not, or were not, aware of it due to the passage of time or you may have forgotten that it was in fact applied. Certainly in the late 1980s and 1990s, people took out a variety of credit cards and, with the various credit crunches during those decades, may have forgotten what pressures they were under in relation to paying back old credit card bills. Therefore, dispensing of the facility was the main priority and any individual transactions that were applied to them, in effect, went unnoticed. 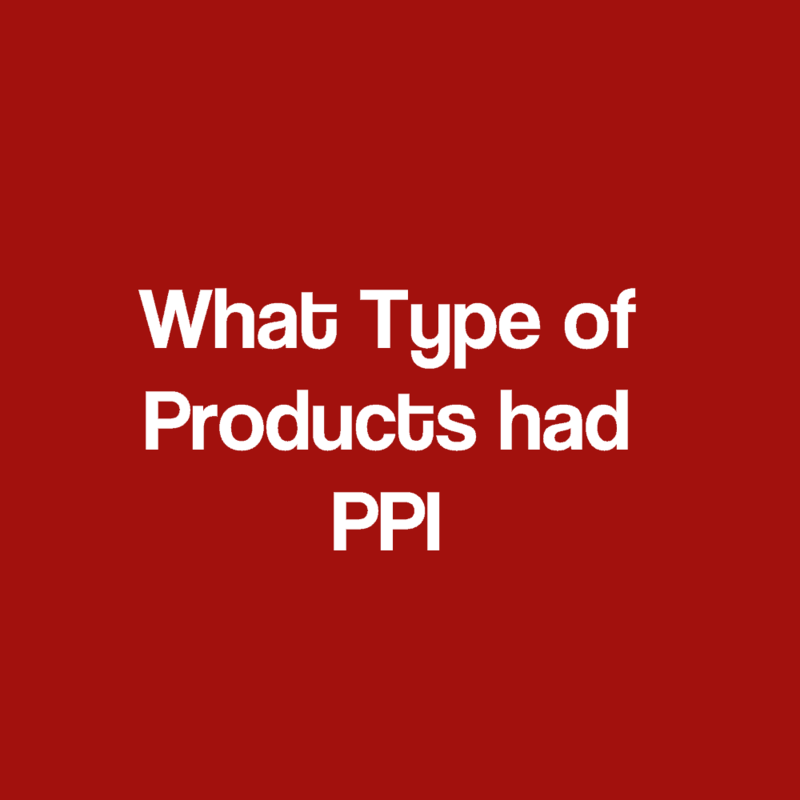 Of course, Payment Protection Insurance was one of those transactions that a lot of the Lenders did put in place, particularly if people did find themselves running up a regular ongoing debt with them, and certainly in relation to credit card facilities. As Payment Protection Insurance has stretched over so many decades, the majority of people have at some point been in contact with Payment Protection Insurance itself. Ultimately, anybody who has borrowed any money will always be presented with the option (at the very best) to take Payment Protection Insurance, or not. The option to take the Payment Protection Insurance was largely a case of “Yes – you will have it else you will not have the facility”. The vast majority of people with Payment Protection Insurance took it because ultimately they wanted the money to borrow in the first place. Of course, the Bank would not dream of mis-selling something as blatantly as this, so it must be a good idea. Unfortunately, in the 1980s, 1990s and 2000s we did not realise just how badly the Banks behaved. It is only in recent years that we have come to realise that, in fact, you cannot trust them and you must question anything that they do. So therefore, you have probably got a list in your mind of all the credit cards, loans and any other borrowing that you have had over the last 10, 20, 30 or even 40 years, but you do not know where to go. This is where we specialise in looking at claims on behalf of clients. In particular, those who have no information or paperwork. As long as they know who the Lender was, we can look at this for them on their behalf – all on a “No Win No Fee” basis. Ultimately, if there is no refund, or the information cannot be located due to the passage of time (as can of course be the case), then there is no fee to pay. 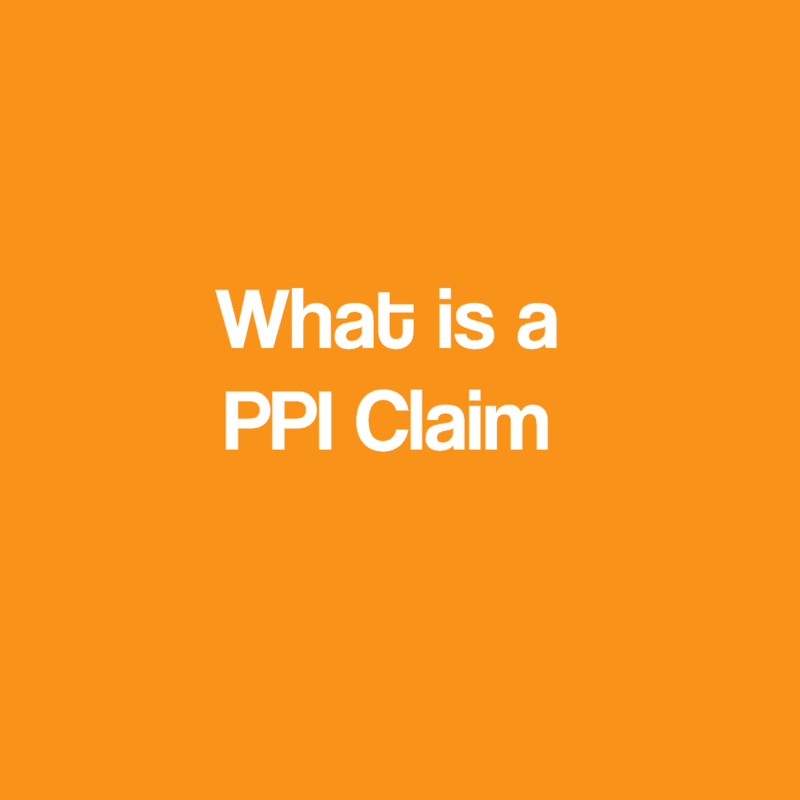 A PPI claim is basically a claim made against a Lender when it is established that a Payment Protection Insurance has been applied against a borrowing facility which is either in place, or historic and closed off, on behalf of a client. 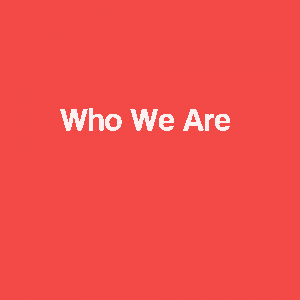 We make considerable numbers of claims each year for our clients in relation to this. Firstly, we establish if Payment Protection Insurance has been applied. Once it has been established that it has been applied, we contact the Lender to discuss the sales process that was attached to the selling of the Payment Protection Insurance, and whether it was sold to our client in the correct manner. The vast majority of Payment Protection Insurance policies were not sold correctly as many were inappropriate and costly. Of course there is never any guarantees in relation to any form of bank charges claim, particularly one against a financial institution. 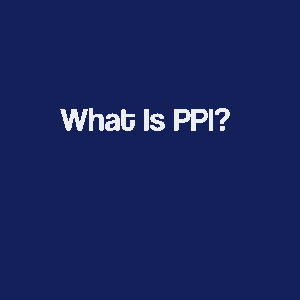 We therefore work on a “No Win No Fee” basis in order to protect our clients in the event that once it is established that Payment Protection Insurance was in place, for some reason we are unsuccessful in the recovery of the PPI and the associated interest and compensatory interest on their behalf. We work firstly to establish if the Payment Protection Insurance is in place. Once this is confirmed, we look at taking the claim forward either directly to the Lender, or depending upon the time when the policy was sold, the underwriter of the policy. 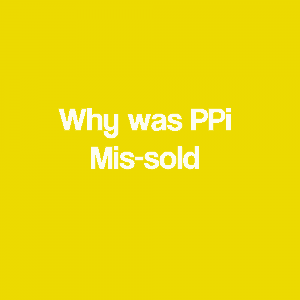 Of course some cases can be quite complicated as some lending institutions have gone out of business since the PPI scandal broke. Again, this does not mean that your claim will automatically be unsuccessful – it just means that we have to establish who the underwriter of the policy was, or apply to the Financial Services Compensation Scheme on your behalf in relation to obtaining a refund. You can claim Payment Protection Insurance from as far back as you like. There is no specific time limit as to how far back we can actually look on your behalf. Our oldest successful claim is in 1987 against Barclays. However, this does not mean that we are going to be successful in all old claims against Barclays who, in this particular instance, were able to locate information on the client with little details other than their name and address at the time. It does however show that the potential to look at claims, certainly in the 1980s, is absolutely relevant and if you do have any borrowing from the 1980s onwards, then we would be more than happy to take this on and look on your behalf to establish if Payment Protection Insurance was applied and, if it was applied, look at challenging this on your behalf in order to obtain a refund. We specialise in dealing with Lenders with very little information and this is borne from our background in banking and our patience and diligence in contacting the Lenders which, ultimately can be quite frustrating as they do take some time to research, particularly those where there is limited information. However, the patience is rewarded in the majority of occasions as information is generally located to confirm if Payment Protection Insurance was applied or not. Of course if there was no Payment Protection Insurance applied, then there would be no refund and therefore there is no fee to pay. However, if there was a Payment Protection Insurance applied, we can then work with the Lender to address this and look at obtaining a refund on your behalf. This refund would take into account all the Payment Protection Insurance premiums that were charged, in addition to interest accrued at the prevailing rate of the facility where the PPI was applied, plus compensatory interest. This is an important aspect, as with credit cards, the prevailing rate is considerably higher than most lending facilities. The majority of credit card refunds, certainly older cases from the 1990s, have therefore generated considerable refunds. If the claim is too far back, and the Bank does not have any records anymore, or for whatever reason the information cannot be located, then no fee will be payable. You will at least however have established and finalised in your own mind that there is no claim. 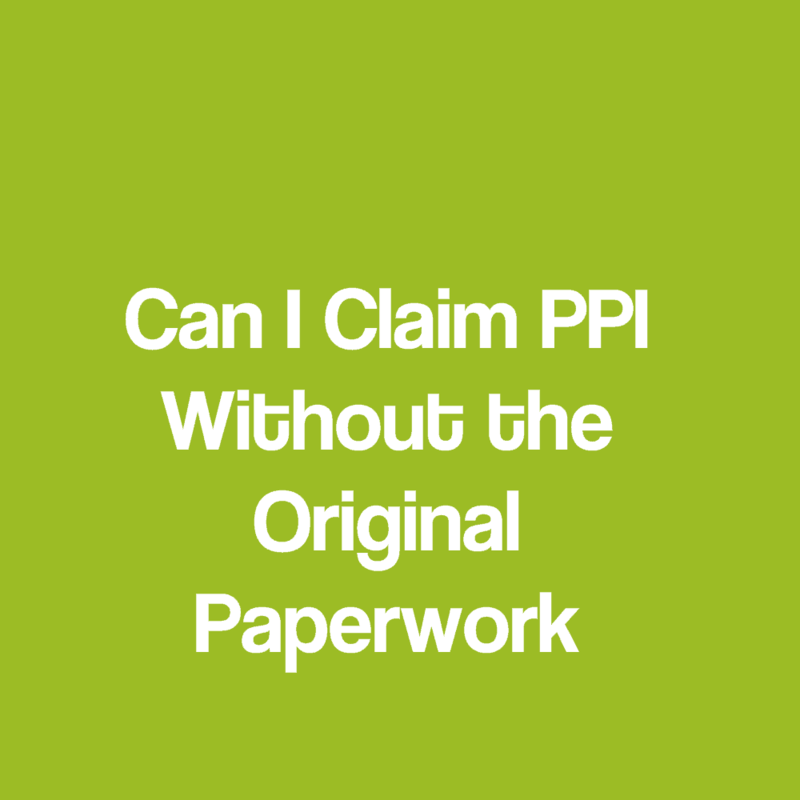 Can I Claim Back PPI Without the Original Paperwork or Policy Number? The vast majority of people do not have original paperwork or policy numbers in relation to facilities that they had in the past, where there could have potentially been Payment Protection Insurance applied. We specialise in dealing with clients who do not have the information to confirm if Payment Protection Insurance was applied, and confirm account numbers or details. 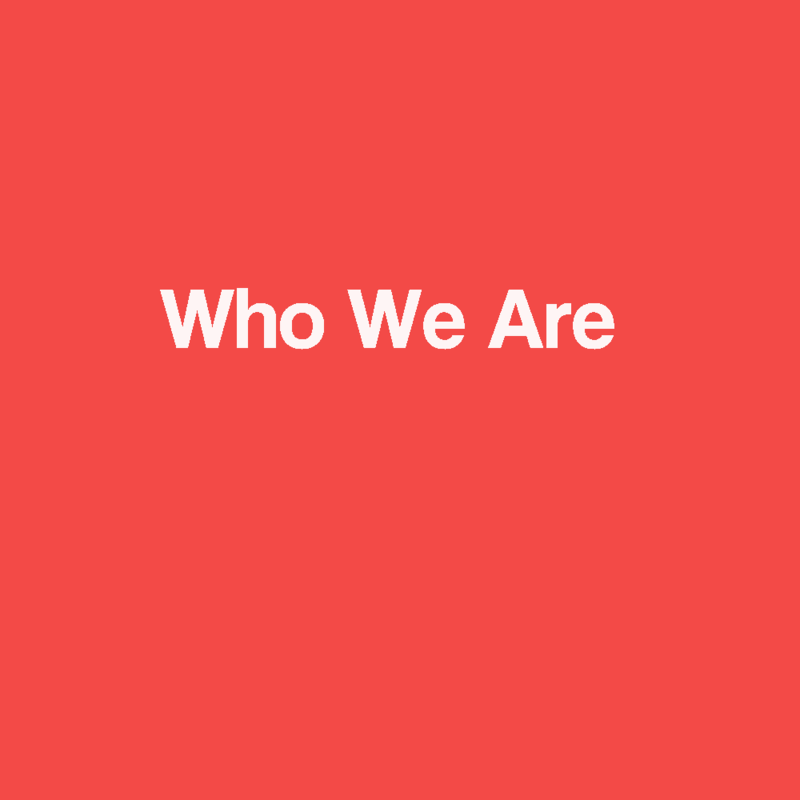 We work with clients, providing they know the name of the Lender, to contact those individual Firms and establish whether Payment Protection Insurance was applied, or not. In the event that the Payment Protection Insurance was applied, we look at obtaining a refund of the Payment Protection Insurance premiums and interest. The vast majority of people who have not made a claim to date (and these run into many millions of individuals, and probably tens of millions of policies) and certainly from the 1980s who do not have any original paperwork as, in fairness, why would you keep paperwork for facilities that were closed some 5, 10, 15 or even 20 years ago? 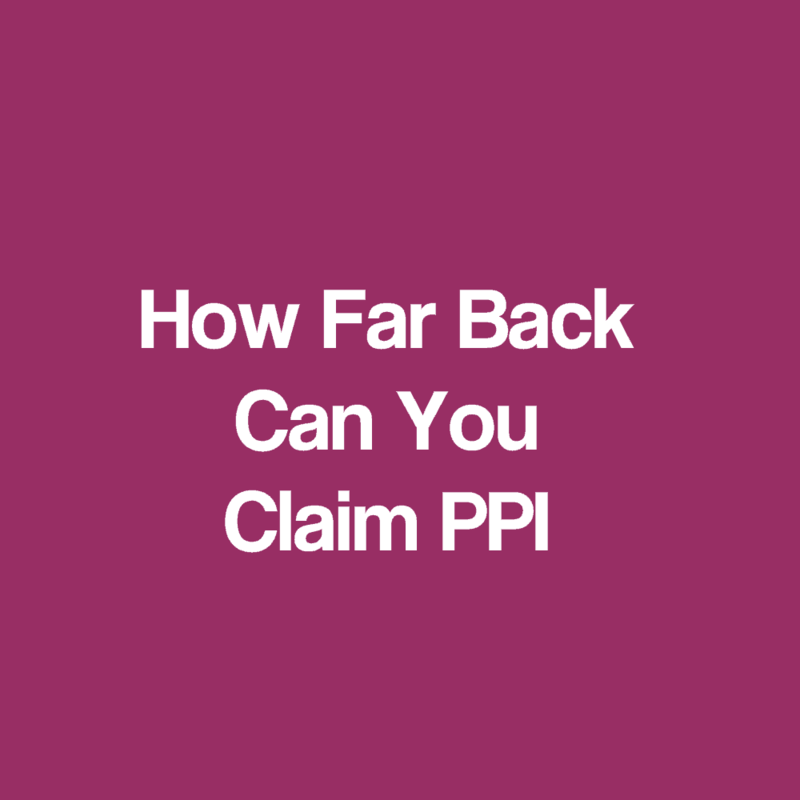 However, it is your right to be able to establish if Payment Protection Insurance was applied, and it is of course your right if, once established that PPI was present on the borrowing facilities that you had, that we look at making a claim on your behalf to obtain a full refund. Anyone who has not made a claim should always sit down and think about any borrowing facilities that they have had, particularly those in relation to loans and credit cards, as well as all the other varieties of borrowing that they could have had. The reason why I always suggest people think hard about loans and credit cards is that if you had one of these types of facilities in the 1980s, 1990s and early 2000s, and you do not have it anymore, the likelihood is that Payment Protection Insurance would have been applied, whether you remember it or not. Of course, if once we have a list of names of Lenders from you, and after contacting those Lenders we do not establish Payment Protection Insurance, then no refund is obtained and nothing is payable. 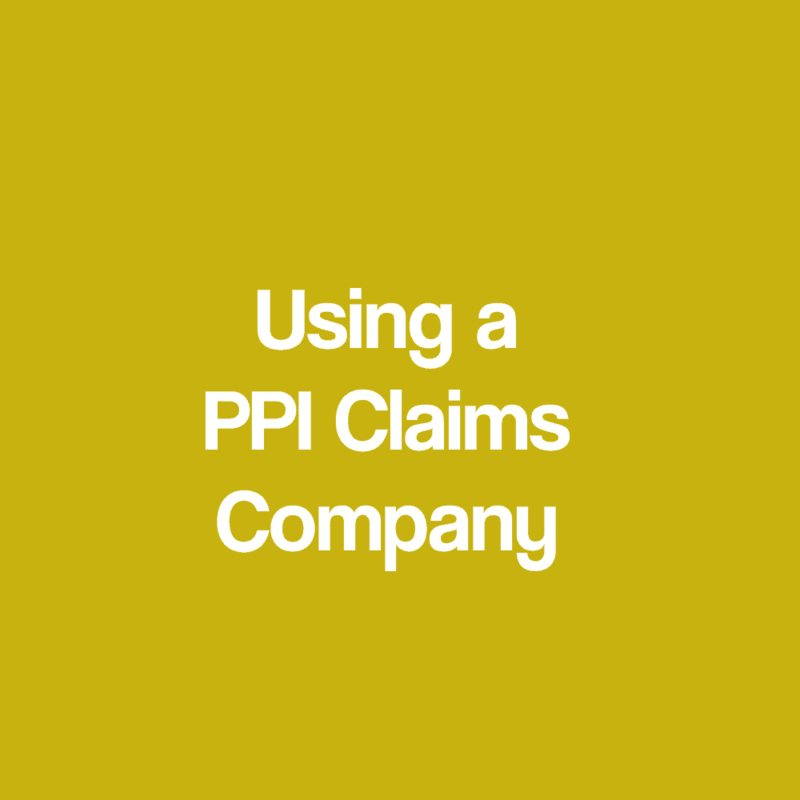 Using a PPI claims company is going to be more relevant now that we are coming to an end for the mis-sale of Payment Protection Insurance and the recovery of premiums by way of refunds. The Banks have dealt with millions of claims so far, some of which have been dealt with by consumers themselves, and others by claims management companies on behalf of consumers. 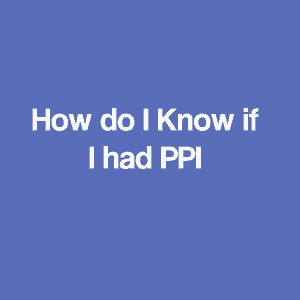 These are the relatively straightforward cases where people have information in relation to Payment Protection Insurance, and they are able to present all of these details to the Lenders and challenge them in relation to the mis-sale. 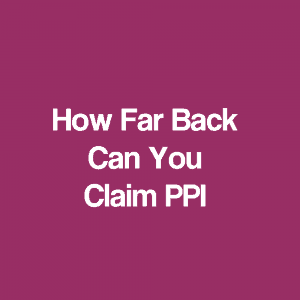 However, we are now at the stage where a vast majority of people who have not made a claim, have not made a claim for the reason that they do not have information in relation to the PPI. They do not have any information in relation to the policy details, and do not have any information regarding the account facility details. Therefore, they are automatically put off by the Banks in looking at making a claim, as the Banks will always suggest that they do not have any information. This has some truth to it, but our experience is that as we deal with many claims on behalf of people and Banks tend to listen to us and deal with our concerns on behalf of clients, and they usually find information that clients have been told is not available. Regulated by the Claims Management Regulator in respect of regulated claims management activities? All claims management companies have to be. You can find this out from the company’s website where it is registered under a “CRM” number. You can also then check the claims management website for details (which are at the bottom of this page) and this will confirm whether they are authorised or not. You should also do a little bit of digging yourself to see what people’s feedback is in relation to the firm. You should contact the firm yourself, either by email or telephone, and satisfy yourself of their credentials and knowledge, and whether you are getting a personal response, or one from a faceless organisation. The most important thing to check though, is that they work purely on a “No Win No Fee” basis. If they ask for money upfront, or at the end, that is not related to a success, then do not go with them. 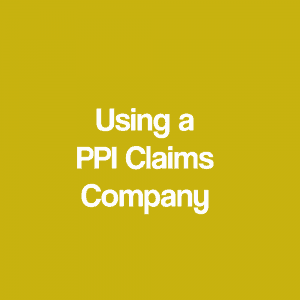 PPI claims have been rumbling on now for a number of years and the Financial Conduct Authority has been working with the Banks and has agreed with them to draw a line under Payment Protection Insurance claims. A specific date has not been set yet, however, they have confirmed that in spring 2018 submission of Payment Protection Insurance claims will come to an end. Of course this does not mean the end of the PPI scandal, as it will take several years after this to go through all the various backlogs in relation to the claims, but the submission of new claims is going to end in spring 2018.
then you must act now and look at employing our services to see if Payment Protection Insurance was firstly applied and, if it was, look at applying and obtaining a refund on your behalf. It is essential that if you have had any facilities in the past, particularly those which have now been closed and which you may well have forgotten about (with a variety of credit cards and loan facilities that you probably had in the 1980s through to the 1990s and 2000s) just scratch your head and write down all of those facilities – whether you know if Payment Protection Insurance was applied, or not. We can then search on your behalf following your instruction. All of this we will do on a “No Win No Fee” basis. You are therefore protected in the event that no information, for whatever reason, cannot be located by the Firm in question. Or once located, there is confirmation that no Payment Protection Insurance was applied, then in that case, there is no fee to pay. We only charge a fee if successful, which is 20% plus VAT (equivalent to 24% inclusive) on any refund which is obtained on your behalf. Therefore, there is no reason why, if you have not already done so, you should not employ our services to at least clarify whether you are due a refund. 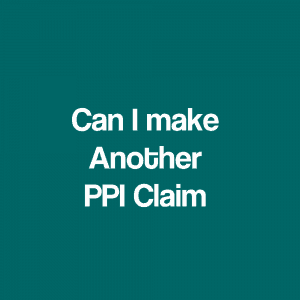 I have already made a successful PPI claim. Can I make another claim against the same Lender? As mad as it sounds, this is possible. Following a Court ruling in 2014, if you have already made a Payment Protection Insurance claim and been successful in relation to a refund of the premiums and associated interest in the past, there is potential to obtain a further refund on top of this. This is in relation to commission that was paid by the Lender to a third party, and which you have not been privy to within your discussions (and it would not have been inserted onto any of the paperwork that you would have at some point signed). Whilst the refund is not likely to be as much as the Payment Protection Insurance refund that you benefited from, it is will certainly run into a good percentage of what you already received. The Financial Conduct Authority has been working with the various Lenders during the end of 2015 in relation to this and, how best to address the scandal in relation to the application of commissions which were not detailed to clients. They have agreed with the Lenders that, whilst the Lender does not need to be proactive (in that they do not have to contact the clients direct) they should be prepared to make refunds, should a commission have been paid. We are now taking on clients from other Firms, or from enquiries where they have already dealt with Payment Protection Insurance claims themselves, in addition to our own clients regarding recovery of this further commission. Again, we work purely on a “No Win No Fee” basis. Should there have been no commission paid, or the amount of commission that was paid is deemed to be fair and no refund made, then there is no fee at all to pay. I have been dealing with claims on behalf of clients for all manner of concerns and disputes that they have had with their Banks, sometimes providing expert witness testimony to Courts, since the late 1990s. Having set up RYM Claims, I run a small group of knowledgeable employees who work with me to locate Payment Protection Insurance details, should the Payment Protection Insurance be applied, and deal with the claim successfully. We are a small Firm because I like to oversee all claims personally. This is essential in order to achieve our goals in representing our clients where limited information is available in order to locate old historic details, which is an area that we specialise in. We also know how some Firms deal with claims is sometimes extremely badly, as you will notice by the various fines that have been levied upon the Firms themselves. However, if we do see wrongdoing by the Firms in relation to the way that they deal with claims, we can react to this very quickly to represent our clients to the best of our abilities. We believe that the best way of dealing with any form of banking claim is to work on a “No Win No Fee” basis because there is never any guarantee when dealing with a financial institution. As such, should there be no refund, for whatever reason, then there is no fee to pay. We do charge a fee if we are successful and that is 20% plus VAT (equivalent to 24% inclusive) of any refund that we are able to obtain.